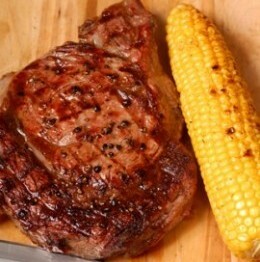 This amazing barbecued ribeye steak recipe comes from a cookbook called America’s Best BBQ . This steak recipe combines smoking and barbecue so it requires both a smoker and grill. Combine all the ingredients for the rub in an airtight container and store until ready to use, or up to 6 months. 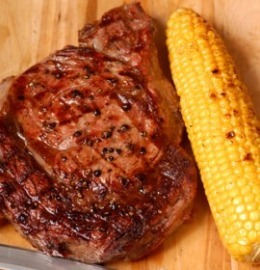 Lightly brush the yellow mustard all over your rib eye. Lightly sprinkle on the dry rub to coat the meat. Preheat your smoker to 225°F. Place the meat fat side up in the smoker and cook for approximately 1 hour. Let cool completely. Cut the meat into desired steak size. Ranch House keeps it big - a full pound. Grill the steaks over hot coals to your desired doneness. If you like your ribeye steak recipes with lots of flavor and just a bit of heat, this recipe is definitely one for you to try. The cookbook this recipe comes from contains a collection of barbecue recipes from the best barbecue restaurants and “shacks” throughout the US. 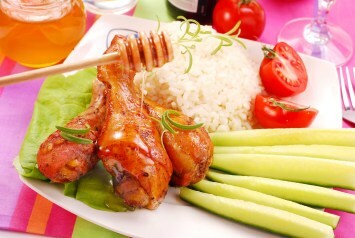 This particular recipe is a specialty of the Ranch House BBQ Steakhouse in Olympia, WA. It features a delicious and savory rub that is perfect for any kind of beef – a mix of a bit of sweet and lots of savory flavors like garlic, lemon pepper, oregano and chipotle pepper powder. Of course you can start out with a much smaller piece of meat and simply adjust the amount of seasonings you use accordingly. This is a great gluten free, low carb and diabetes recipe. It suits a lot of restricted diets. If you like this recipe, I’d love you to Pin it to Pinterest, Tweet about it, Like it on Facebook and leave a comment or your own recipes below. If you like grilling recipes and ribeye steak, you will probably love our tri tip recipe. Find it here.